Did you know that GTs will eat their own kind? Us as fishermen here at Alphonse Island thought we might have seen just about everything! However, one of the most thrilling aspects of a fly fisherman’s journey are the unexpected surprises along the way. Spending months going out to sea to fly fish almost everyday contributes to countless experiences and a comprehensive knowledge. 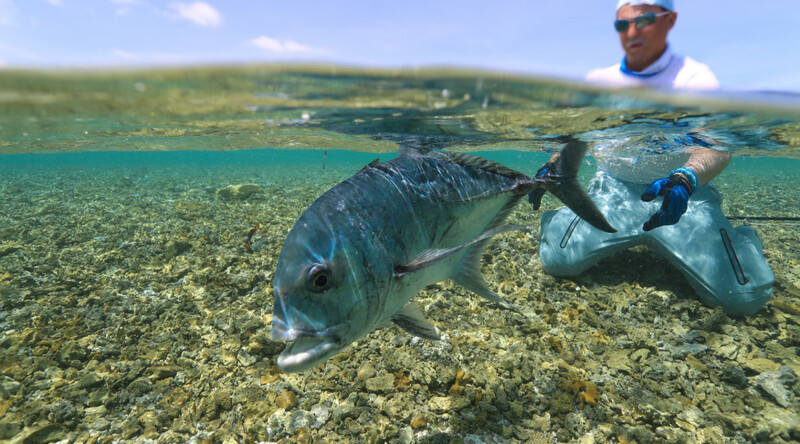 Although we had quite an unexpected experience the other day…which shed light on some unknown behaviour of Giant Trevally. Giant Trevally are known to be aggressive and bullish, and so much so that they will even turn on their own kind for a meal! The two images below are taken from the cliffs of Astove. 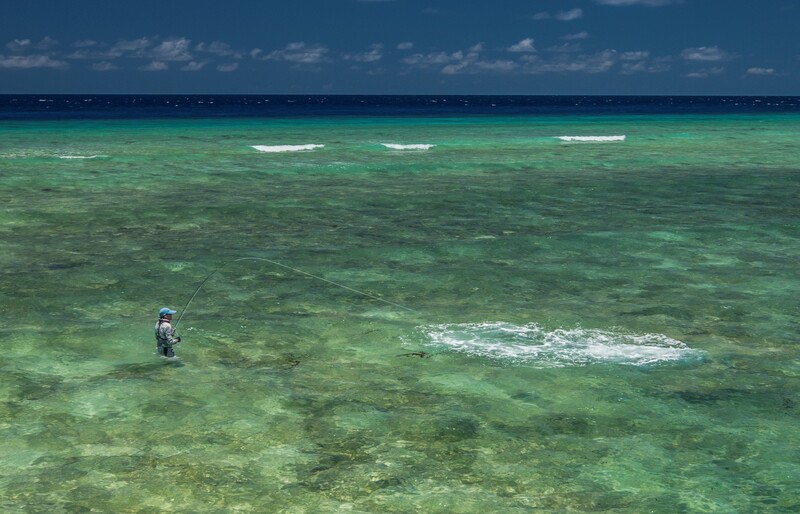 It is clear in the first image that the angler is busy setting a hook into a black Giant Trevally approximately 15 pounds. In the second image, it looks as if a hand grenade has exploded at the end of the line. This is in fact six monstrous Giant Trevallys eating the 15 pounder. The incident took only a few seconds before the angler felt slack in his line. It was all over. 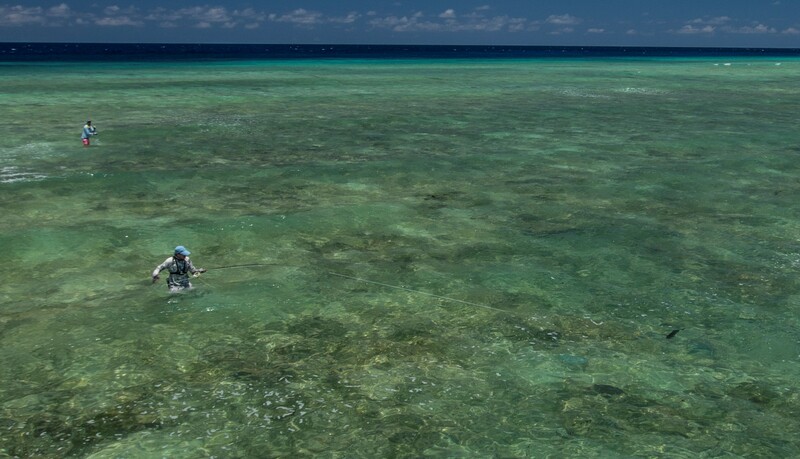 On the western side of Bijouteir Island, it has also been witnessed that two large Giant Trevally attacked and ate a juvenile Lemon shark that was cruising the edge of the island in very shallow water. Although these sights are surprising and shocking, this aggressive behaviour is what makes GTs one of the most rewarding fish to catch. They put up a good fight that makes the win all the more sweeter! Have you ever witnessed anything like that? Want to learn more about the GT – have a look at one of our other GT stories.